A memorial service for Doris Jean Neal, 83, Caulfield, Missouri, will be held at a later date. 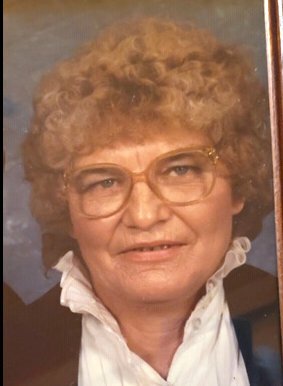 Mrs. Neal passed away at 12:48 a.m., Monday, January 28, 2019 at her home. She was born February 6, 1935, at Cameron, Missouri, to James S. Estes and Julia Upchurch Estes. On July 28, 1954, she was married at Cameron, Missouri, to Billy J. Neal, who preceded her in death on June 24, 2012. Mrs. Neal loved and cared about all of her family. She is survived by one daughter, Judith Peterson, Caulfield, Missouri; three sons, Billy W. Neal and wife, Alice, Titusville, Florida, Rick Neal, Caulfield, Missouri and Robert Neal and wife, Melanie, Cameron, Missouri; fourteen grandchildren; thirty-four great-grandchildren; one sister, Shirley Cochran, Maysville, Missouri; and several nieces and nephews. Her parents, husband, one brother, James S. L. Estes and one great-granddaughter, preceded her in death. In lieu of flowers, memorial contributions may be made to the Alzheimer’s Association and may be left at Robertson-Drago Funeral Home.